Learning opportunities begin with a trade show and conference by the Nevada Landscape Association in collaboration with Cooperative Extension, Nevada Department of Agriculture and the Reno Urban Forestry Coalition. 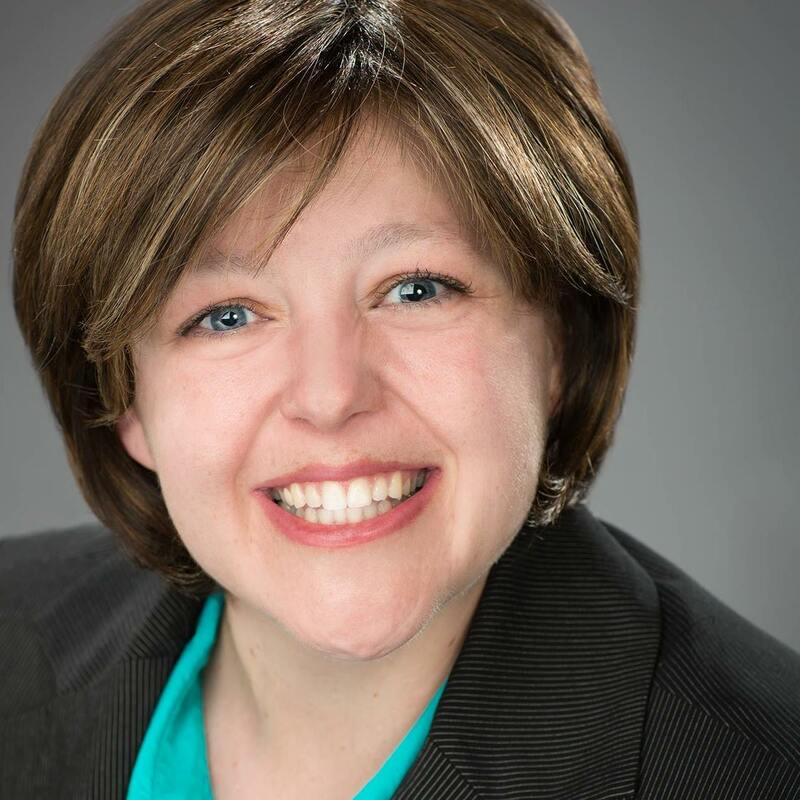 On February 3 and 4, industry professionals will receive turf and irrigation, arboriculture, hardscape and pesticide education in the “Looking Ahead—Seeing Green” event held at the Reno-Sparks Convention Center. The cost is $85 for NLA members, $95 for non-members and discounts for multiple registrations are available. For information, visit nlaconference.eventbrite.com. Also beginning February 3 is Cooperative Extension’s Green Industry Training program. From 9 a.m. to noon on Tuesdays and Thursdays in February, participants will learn the basics of plant diseases, integrated pest management, pesticide safety, soils, potting mixes, fertilizers, insect identification, sustainable turfgrass management, weeds, weed law and woody plant identification from Cooperative Extension and Nevada Department of Agriculture staff and industry professionals. The cost is $80 for all eight classes or $15 per class, and discounts for multiple registrations are available. Our Green Industry Continuing Education Series will present a free talk on insect and disease diagnosis in trees by Gene Phillips of the Nevada Division of Forestry on January 14 from noon to 1 p.m. 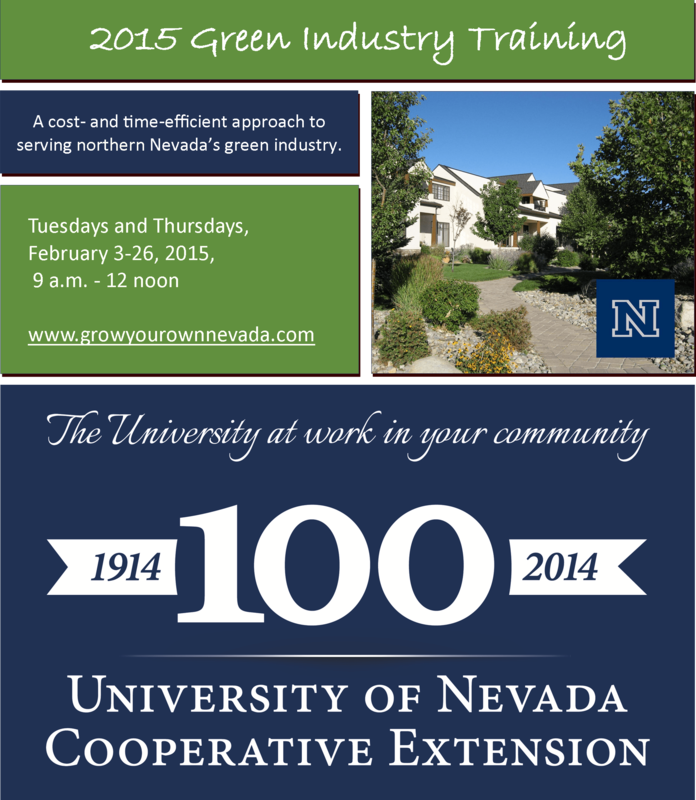 Both Green Industry Training and its Continuing Education Series will be held at 4955 Energy Way in Reno. Priority Green Industry programs registration will be given to those in or seeking to enter the industry, but all are welcome. For information, visit growyourownnevada.com. Gardening in Nevada: Bartley Ranch, offered in collaboration with Washoe County, will be held Tuesdays in February and March from 6-8 p.m. at Bartley Ranch Regional Park in Reno. Topics include fruit trees, orchard mason bees, plants that grow well in the shade, succulents, sustainable gardening, genetically modified organisms (GMOs), soils, composting and vegetable gardening. There is no cost to attend Gardening in Nevada classes, and the schedule will soon be posted to growyourownnevada.com. Finally, our popular Grow Your Own, Nevada! series returns April 7 and runs from 6-8 p.m. on Tuesdays and Thursdays through April 30. Offered live in Reno and via videoconference to Cooperative Extension offices statewide, these classes teach Nevada gardeners the secrets to growing edible gardens in the high desert. Save the dates for now, and keep your eye on growyourownnevada.com for more information. These educational programs, as well as those offered by our local nurseries and garden centers, will help you achieve your 2015 garden and landscape dreams. Our Master Gardener Volunteers can help too. They are available year-round to answer garden and landscape questions in our office, over the phone or via email. For questions about your plants, contact a Master Gardener at 775-336-0265, mastergardeners@unce.unr.edu or visit growyourownnevada.com. Cooperative Extension offers many programs to help home gardeners and industry professionals alike achieve garden and landscape success.